In beautiful contemporary designs, our collection of glass towel warmers and mirror towel radiators are a stylish design addition to luxury and high end bathroom design. We can supply glass towel rails in clear and coloured glass in the colours of white, cream, red, purple, green, plum and black. 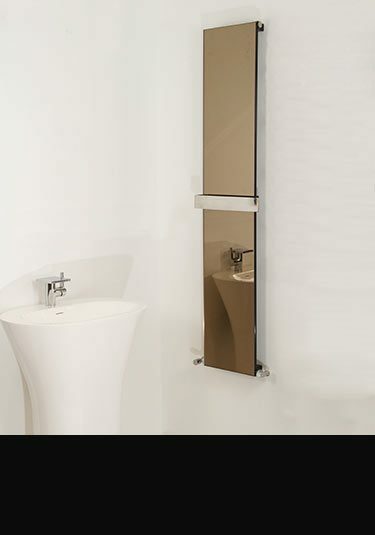 Our mirrored towel warmers are also supplied with a choice of silver and bronze mirror finish. Bathroom radiators available in central heating, dual fuel and electric only versions. A clear glass towel rail with invisible electrical elements can be controlled via a remote control. Designed and made in Germany this towel rail is an international design winner. 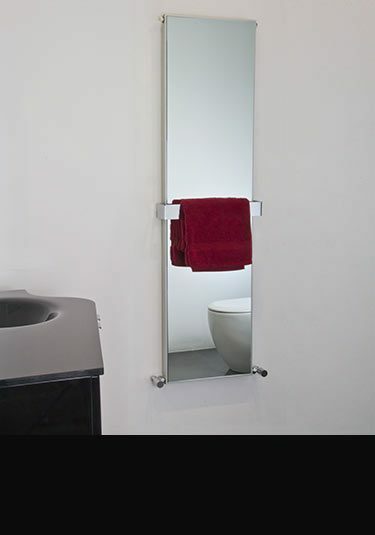 A designer mirrored radiator with a towel hanging towel bar. 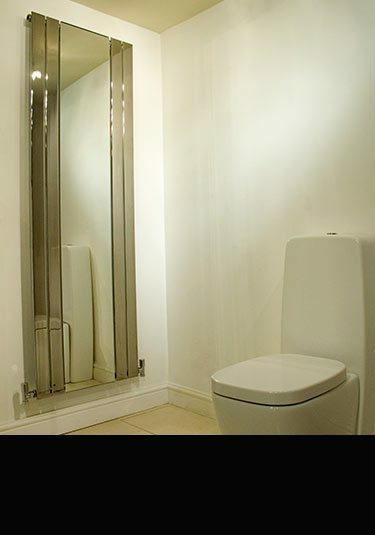 This mirror towel rail is designed and manufactured in the UK and is available with a bronze or silver mirror. Supplied in 5 radiator sizes. 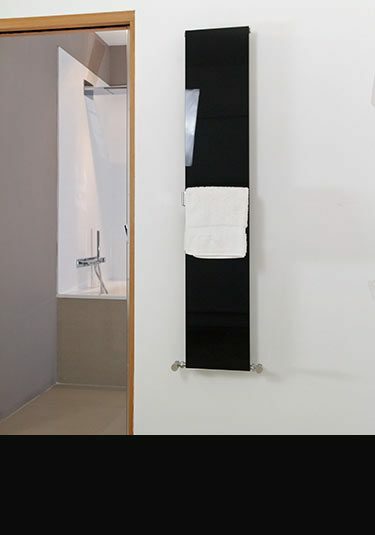 A contemporary glass towel radiator designed for central heating systems. This glass bathroom towel rail is supplied with a polished stainless steel towel bar and is available in 5 radiator sizes and in black and white glass. 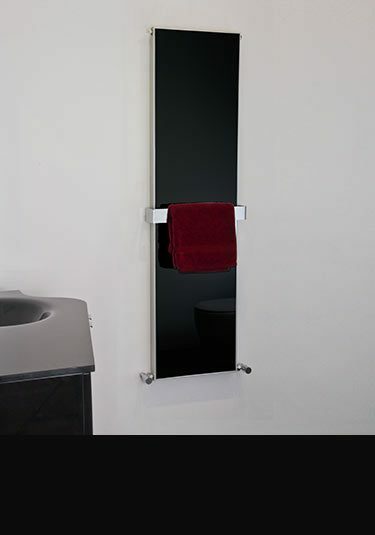 A chrome flat panel radiator with a central mirror is a nice addition for bathrooms, hallways and perhaps bedrooms. Designed and manufactured in Europe.